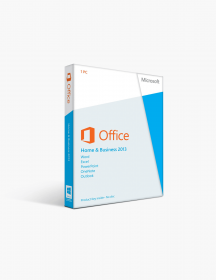 You're reviewing: Microsoft Office 2016 Home and Business Pc Instant License. You are running a home-based business and you need to stay well organised and connected, or your small business has an urgent project and you are eager to use the newest apps for best results? 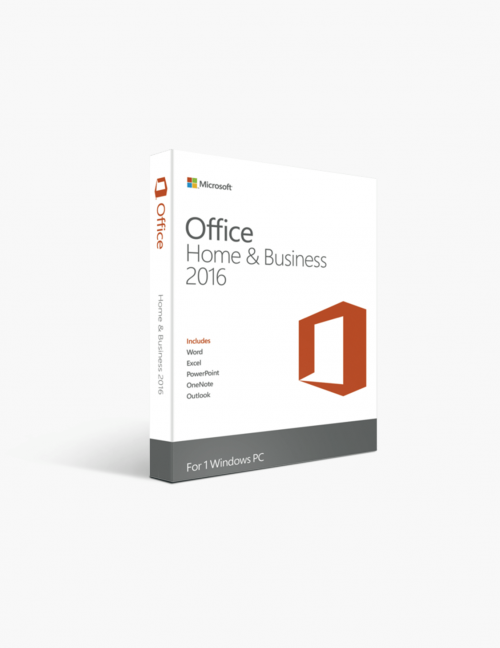 Then the Microsoft Office 2016 Home and Business PC Instant License is a wise investment to consider. The moment you pay for the product you are ready to install it on your computer and you can access it in minutes with the instantly provided license key. The instant, digital download saves time efforts and money and your project completion is guaranteed in the best possible way. 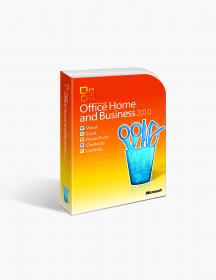 Microsoft Office 2016 Home and Business provides the most essential tools for structuring your day, and helps you accessing instantly everything you need on the go. The Home and Business 2016 suite contains Word 2016, Excel 2016, PowerPoint 2016 and OneNote 2016, and the important add is everyone’s favourite email managing app - Outlook 2016. The Microsoft Office 2016 Home and Business is packed with a bunch of new features and improvements, with exciting real-time collaboration and built-in intelligence tools to enhance your performance. Some of these features are common for two or more of the apps included in the suite. The default colourful theme - The first thing you’ll spot is the default colorful background of the ribbon tab for all apps. However, you can always return to to the old white theme or to change to the dark gray theme, according to your preferences. Smart Lookup - The feature is powered by Bing and applies to Excel 2016, Word 2016, Outlook 2016, and PowerPoint 2016. It helps you to instantly and effortlessly derive web-based information, or to decipher unknown content, while reading a document. You can access the Smart Lookup also in the Review menu. Tell Me - Also available in all Office 2016 apps - Word, Excel, PowerPoint, and Outlook. It helps you navigating effortlessly through the app you are currently using to find the feature you need or to the result you want. You just type what you want to do in the Tell me dialog box and you’ll receive a list of possible commands to complete your work. In case you select an object in your document, an image for example, and ask for help, you’ll be offered commands specific to the selected object. Teamwork and collaborationSharing and saving - Save your Word 2016, Excel 2016 or PowerPoint 2016 document on the cloud and invite a team of friends or colleagues to view or edit your work. You can do this with the Share function in the top-right corner. Saving documents in Microsoft's cloud services also gives you easy access to previous versions for editing or to copy texts and graphics from into the current version. Real time co-authoring - The real-time collaboration functionality is how the Microsoft Word 2016 upgrades the previous releases. You and your teammates can exchange ideas and edit documents simultaneously, from different devices in different locations. 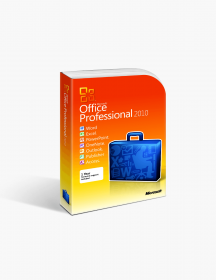 Microsoft Word 2016 Take advantage of the state-of-the-art features and the the new reviewing and sharing tools the ultimate text processing app offers! With the Word 2016 you’ll be able to produce professionally-looking documents. It comes with a fresh new layout and a variety of helpful interactive tools, that you can access from your desktop, from your smartphone or even on the Web. All the new exciting features such as Tell Me, Smart Lookup and sharing and real-time co-authoring in the cloud are available with Word 2016. And it has never been easier to edit a PDF file in Word - a feature that saves much of your time and troubles. Microsoft Excel 2016 The users of the popular spreadsheet app will be thrilled as Excel 2016 finally receives major upgrade to deliver more possibilities for data analysis and forecasting. Powerpivot and Power Query, available as add-ons in the previous editions, are now built-in and instantly accessible upon download. Power Query can be be found on the Data tab of the Ribbon in the Get & Transform section. It allows you to derive data for analysis from almost anywhere, including websites, SQL, Azure, Access, and other databases. Six new charts and graphs expand your possibilities to visualise, analyse and present data and to share the insights with your team in the cloud. These are the box and whisker charts for statistical analysis, histograms for frequency data, Pareto charts, sunburst charts to show levels of a hierarchy, treemap charts and waterfall charts. In case you have historical, time-based data, you’ll be able with one click to make forecasts and predict future trends. Microsoft PowerPoint 2016 PowerPoint 2016 gives you almost unlimited options to present your ideas in engaging way. The exceptional collaboration options of the Office 2016 release are now available with PowerPoint, including real-time collaboration, easy feedback, etc. The program also provides smart design suggestions and contextual suggestions based on the content you add to slides, as well as a new Designer sidebar to shape your ideas in a professional presentation. The PowerPoint 2016's new transition, Morph, allows animation and smooth movement of objects between slides. Microsoft OneNote 2016 The OneNote 2016 not only comes with new look of the tabs to match the other Office 2016 apps, but gives the user a possibility to keep notes and store notes, charts, audio files, video files, web pages, etc. into a digital notebook. With the new add me@onenote.com you can send notes to yourself directly from your email. And for team you can create a Team Notebook on a cloud drive to communicate and exchange ideas. The OneNote 2016 works with iOS, Android, Windows Phone, macOS, Windows, and even exists in a web-based format, so you can access it through your browser on different devices from anywhere. Microsoft Outlook 2016 In the new Outlook, the users will find new, customisable look, improved Calendars, a new search bar to save your time while looking for a particular email, Push Email Support that delivers a brief notification upon arrival of an email, as well as Quick Message Preview, a new MyAnalytics add-in to help you work smarter and be more productive, based on your inbox and calendar, the new recent-documents feature for faster integration with the other Office apps and the Clutter, which prioritises your messages according to your preferences and sends the low-priority ones into the clutter folder. And last but not least the Groups feature, which helps the user to set a group of people for a chat-like single conversation a chat-like single conversation. These are minimum system requirements for installing Microsoft Office 2016 Home and Business Pc Instant License. €144.99 | In Stock Want it Now? Order and receive your download instantly.